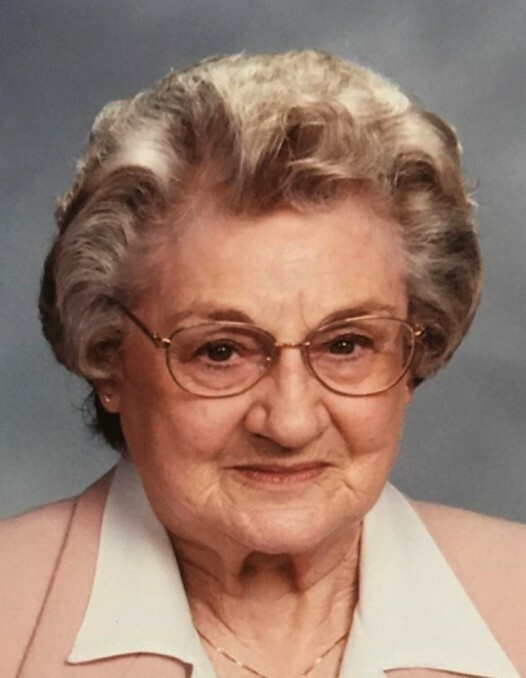 Dorothy L. Porter, 94 of Columbia, MO was called home on Sunday, August 26, 2018. A Celebration of Life Service will be held at 11:00 a.m., Saturday, September 1, 2018, at Bach-Yager Funeral Chapel. The family will receive friends at the funeral home from 10:00 a.m. until the time of the service. Dorothy Louise was born on July 9, 1924 in Moberly, MO to the late Ralph E. and Isabelle (Morrison) Hines. On August 14, 1943, she married the love of her life, Lowell C. Porter in Moberly, MO. They had four children, Alva Earl, an infant son who passed away at birth, Gene (Robbie) Porter of Nashville, TN, Nita (Gordon) McCormick, of Moberly MO, and Jerry (Sammy) Porter of Columbia, MO. On January 31, 1954, eleven short years after they were married, Lowell passed away, leaving her to raise their three children on her own. She spent many years working multiple jobs in order to support her family and did so with determination, dignity and grace. Dorothy never remarried, as her love for her husband and family left her fulfilled. Dorothy spent the majority of her life in Columbia, MO, working as a secretary, first at Stephens College, then at Christian College and finally landing at Secura Insurance, where she worked for 25 years, retiring in 1991. Just as Dorothy’s love for her family ran deep, so did her love for animals. She loved her many cats as if they were her own children. She also fed the many neighborhood deer, birds and squirrels. Many Columbia residents never knew her name, but knew her only as the “Deer Lady of Chapel Hill Road.” Almost daily, one could drive by and see her outside in her chair reading, while the deer and squirrels flocked around her. She was dearly loved by all. Along with her children, she is survived by five grandchildren, Scott Porter, Nashville TN, Kendall (Aaron) Tanner, Peagram, TN, Harold (Rachel) Patterson, Nashville, TN, Kim (Terrance) Thomas, Birmingham, AL, and Tracy (Rob) Bernskoetter, Columbia, MO and numerous great grandchildren. Sadly she was preceded in death by a grandson, Lowell Gordon McCormick of Moberly, MO and a great-granddaughter, Sammy Bernskoetter, Columbia, MO. Memorial contributions are suggested to Central Missouri Humane Society, c/o Bach-Yager Funeral Chapel, 1610 N. Garth Avenue, Columbia, MO 65202.